E450 replaces the old E400 and joins the new AMG E53 for 2019. Mercedes-Benz is reviving its lineup in the US for the 2019 model year. Not only with the , but with the launch of the new E450 as well. 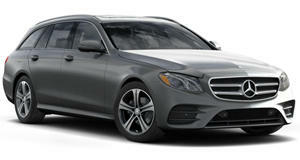 Replacing the previous E400 models, the new E450 gets an upgraded 3.0-liter twin-turbo V6. Instead of 329 horsepower and 354 lb-ft of torque, the E450 boasts 362 hp and 369 lb-ft – representing improvements of 33 hp and 15 lb-ft, respectively. The new engines will be available in four bodystyles: sedan, wagon, coupe, and convertible. The sedan and wagon will come exclusively with 4Matic all-wheel drive, while the coupe and convertible will be offered in either rear- or all-wheel drive setups. 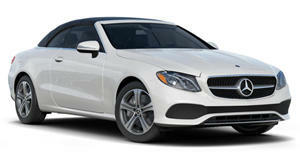 Last month, MBUSA announced the . Replacing the E43 and slotting in underneath the full-on E63 model, the E53 packs an engine of similar parameters to the E450's, displacing three liters across six turbocharged cylinders. Only instead of a V6, this one's in-line. And with a 48-volt EQ Boost system, it produces 457 horsepower and 567 lb-ft of torque. Driving all four wheels through a nine-speed automatic transmission, the E53 will rocket from 0-60 mph in 4.4 seconds (4.3 for the coupe) and top out at 130 mph. 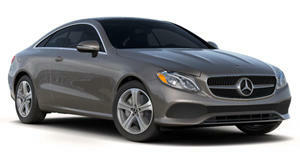 It'll be available in sedan, coupe, and convertible variants. (Sorry folks, here.) Along with the new powertrain variants, the 2019 E-Class benefits from new steering wheels, trim options, and trim and safety packages. Pricing and availability will be announced closer to their launch sometime in the fall. But considering that the outgoing 2018 E400 sedan started at $58,900, we wouldn't expect the new model to start at much more than $60k.